We live in a relatively healthy period in time. We no longer die of the black plague or small pox. There are cures for rabies and inoculations for just about everything from the flu to chicken pox to polio. But less than one hundred years ago, a flu pandemic swept through the world and killed over 20 million people. Over 600,000 of those people were in the United States. Some estimates say the death toll world-wide was as high as 30 to 50 million. The time was during the ending days of World War One in 1918. Roller skating rinks, movie theaters, and amusement parks were popping up every where as Americans had more money and leisure time than ever before. Although almost everyone in America lived on farms and in rural areas, people were increasingly moving to the cities and suburbs. 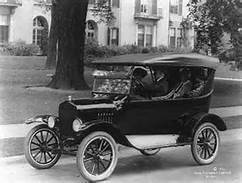 Model Ts were affordable, and many were trading their horses in for cars. All the modern conveniences like indoor bathrooms, running water, electricity, and the telephone were starting to make their way into some homes. Women were starting to work outside of the home before they had children, and states were ratifying the amendment to give women the right to vote. The only downside to living in America during this period of time was the Great War across the ocean. Germany and its allies were set on conquest and Europe was in a stalemate costing thousands of lives. In 1917, the United States entered the war, and many young men were sent overseas as Dough boys. In 1918, the first cases of the pandemic flu epidemic hit. Many soldiers in army training camps through the US were some of the first victims. Military hospitals, both in the US and overseas, filled up quickly with more victims from the flu then from warfare. Nine million solders died from warfare, but 50 million died from the flu. In March 1918, Haskell County, Kansas sent a message to the Public Health Department informing them of 18 cases of severe influenza. By May, cases of influenza overseas was being reported. By August the flu swept through North and South America, Europe, Africa, and Asia. The flu came in three major waves, the last hitting in Spring 1919, a few months after the Great War had ended. One factor for the defeat of the Germans was the devastating effects of the flu on their soldiers. The Public Health Service fought the flu spread through education (fliers, ads, posters), quarantine, sanitary measures, and requiring masks be worn in public. Although these measures probably helped, the flu epidemic eventually just went away. 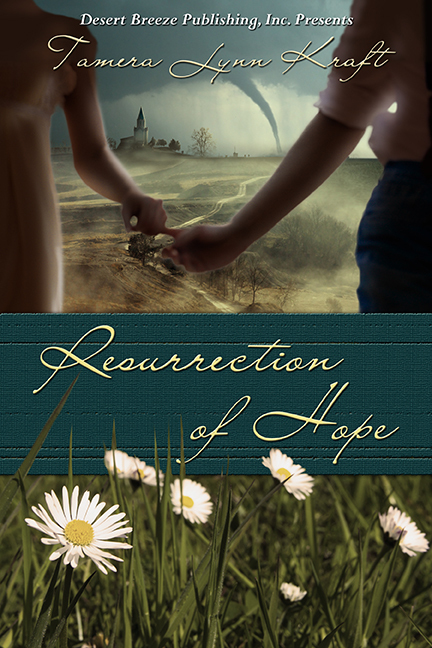 In my new novella, Resurrection of Hope, Vivian’s parents and sister died of the influenza epidemic. Most families during that time had family members who had died from the flu. Wow, I had no idea....how sad. Thank God for modern medicine. My grandmother died in that flu epidemic, leaving an infant, my 7-year-old mother, and her older brother at the mercy of an unkind father. The infant was given up for adoption. Happily, Mother and her sister found each other again as adults. Recently a professor I know who'd just written a book set in Nebraska during WWI (the years of the epidemic) said that historians are beginning to see this epidemic as a cause of the end of the war. Soldiers camps enhanced contagion and so many people were dying of the flu that it really impacted the warring nations' ability to keep fighting. These kinds of epidemics always make me think of the last days mentioned in the Bible. And it all makes me shudder. It's incredible to think of something that affects MOST people as did this epidemic. It was an incredible time. Your mother's experience was not unusual. I'm glad she found her sister. I also heard that it helped to end the war. Very interesting. Thanks so much for sharing your research. Thank you for sharing this interesting post. So, so sad! Thanks, Melanie. You're right. It was sad.